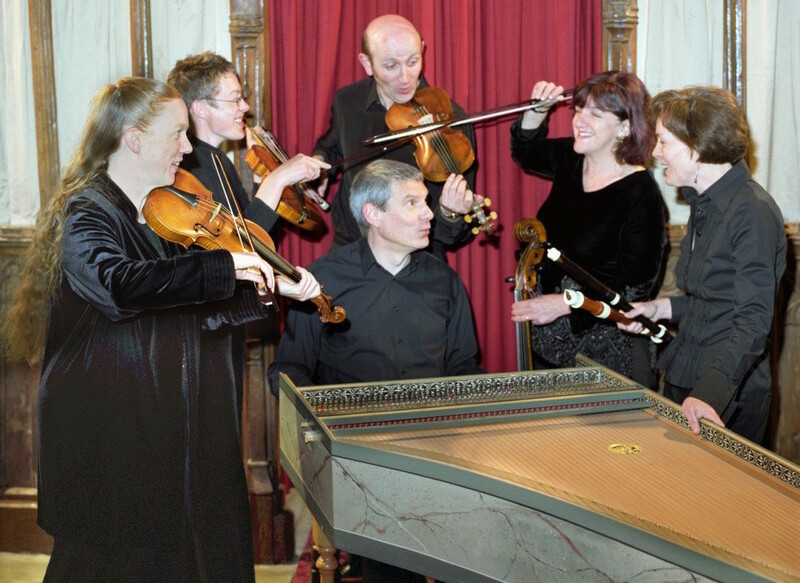 Musica Donum Dei was founded as a small chamber group to perform late 17th- and early 18th-century music on original instruments (or modern copies) in period style. Music Donum Dei was founded by Wendy Hancock – Baroque flute and Recorder (Artistic Director), Diane Terry, Michael Sanderson and Michael Overbury. In addition we frequently include Kenneth Mitchell (Baroque viola) and Andrew Durban (Baroque double bass). Our repertoire includes instrumental and vocal music from the early 17th to the mid-18th centuries: the age of Monteverdi, Purcell, Vivaldi, Telemann, Bach and Handel. We are known for our unusual and accessible programmes. We often include readings, dramatisations and visual images alongside the music to evoke the spirit of the age in lively and imaginative ways. We perform in concert halls, regional arts centres, country houses and churches throughout the Midlands, London – anywhere! A full-sized baroque or classical orchestra to join your choir in works such as the Monteverdi Vespers, Bach’s St Matthew Passion or Mozart’s Requiem. For more details of MDD’s work with choirs, scroll right down on the ‘Book MDD’ page. If you have any comments, queries or suggestions, please get in touch.